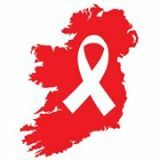 Today is Irish AIDS Day and the news is not good. The largest ever levels of new HIV cases in gay and bisexual men have been revealed. The Irish Health & Safety Executive’s Health Protection Surveillance Centre show that there were 166 newly diagnosed cases of HIV for gay and bisexual men in 2012 in Ireland. These figures are the highest diagnosis rates recorded to date in the State. The figures show that HIV diagnosis rates amongst gay and bisexual men have increased by 160% between 2005 and 2012 and that they now represent just under half (48%) of all new HIV diagnoses. The figures also show that the age group most at risk of HIV is getting younger. The median age of MSM HIV diagnosis has fallen to 32 years old in 2012. For a new generation of young gay and bisexual men, HIV has become a growing risk. Between 2005 and 2012 there has been a four‐fold increase in the number of new diagnoses among those aged between 25‐34 years. There is a critical need to educate young people and young gay and bisexual men in particular about HIV which is an easily preventable condition. If you wish to support HIV awareness in Northern Ireland, please consider donating to Positive Life.